All payments at Bengal Institute are to be made online only. We do not accept cash. 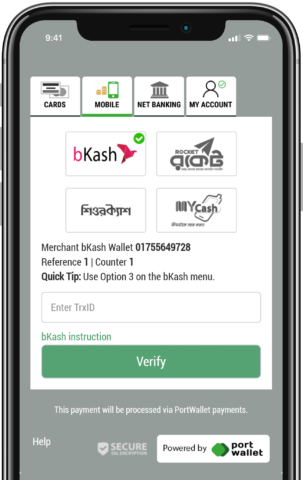 - Personal Mobile-Banking: bKash, Rocket, MCash, SureCash, IFIC Mobile. If you do not have any of the payment methods mentioned above, you can use your friends' or family's account. However, NEVER pay from a shop/agent. 1. Have you ever paid online using the card? If not, please call your bank first to check its status. Oftentimes local (Bangladeshi) banks block online payment, ask them to open it before you attempt to pay. 2. Are you set for receiving OTP (One Time Password) on your phone/email? Your bank will send an OTP for payment authentication via sms/email/code-generator. You must have to have a way to receive/generate the code to complete the payment. Generally it is your personal phone that is tied with your card for receiving the OTP codes via sms. If you are not sure about it, call your bank first to check if you are on for receiving the OTP. 3. For local dual currency credit cards, check if you have enough BDT fund. You can not pay in USD on local cards in our system, you may have to transfer it to BDT if you are on shortage. 4. International Cards (cards issued by banks outside of Bangladesh) will work on our system only if you have '3D Security' on. i.e: services like Verified by Visa or MasterCard SecureCode or American Express Safekey must be turned on, and you have to have an option of receiving/generating OTP. Select 'Payment' option, not Send Money or Cash Out. Do not split the payment, i.e: if your payable amount is ৳15,000 pay the whole ৳15,000 in one transaction, it can not be ৳10,000 and ৳5,000 in two separate transactions. Marchant Payment over bKash/Rocket etc. has no limit, and no extra fee i:e: you can pay any amount in one go. 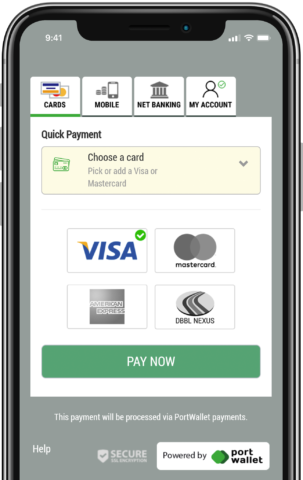 Keep the payment page open while making the payment, and carefully type in the transaction ID/PIN etc. Be careful about 0 vs o and 1 vs I etc. visually confusing characters in the Txn ID. - 300 BDT application fee is non-refundable and non-transferrable, whether you get selected or not. It is also a one-time payment. - Event tickets are generally non-refundable. It may be transferrable if it is an open event; events where audience are 'selected' through application are non-transferrable. - Subscription charges may be fully or partially refundable, decisions are made on a case by case basis. Subscription charges are not transferrable to another candidate. - All refunds will go to the original account you paid it from. i.e: if you have paid using your friend's card, the refund will go to his/her card account. If you have paid it from a random shop, your refund will go to the shop-keeper.